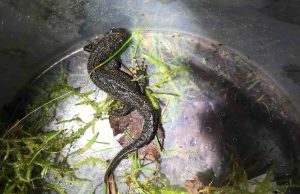 Great Crested Newts were recorded for the second year in a row during the annual toad migration to the lakes on Woodhill Lane, Shamley Green. 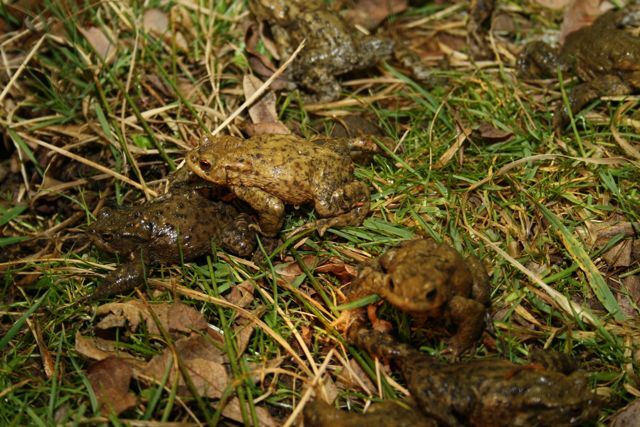 Woodhill Lane is already famous for one of the county's biggest toad migrations with around two to three thousand making their way down from the hills and heathland to mate and spawn in the lakes. 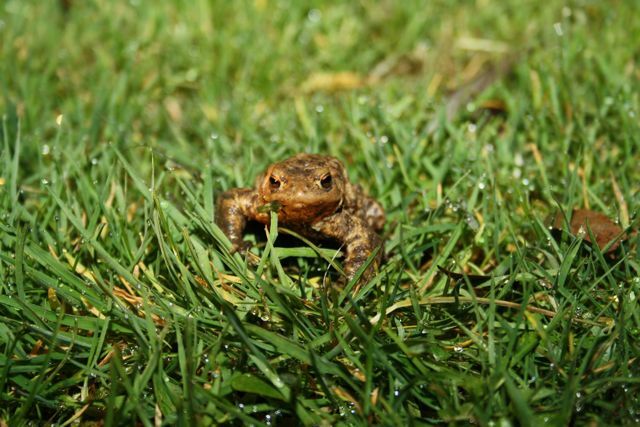 Numbers of toads in recent years have been in decline but this spring we saw an increase on the last two years to around 2,000. 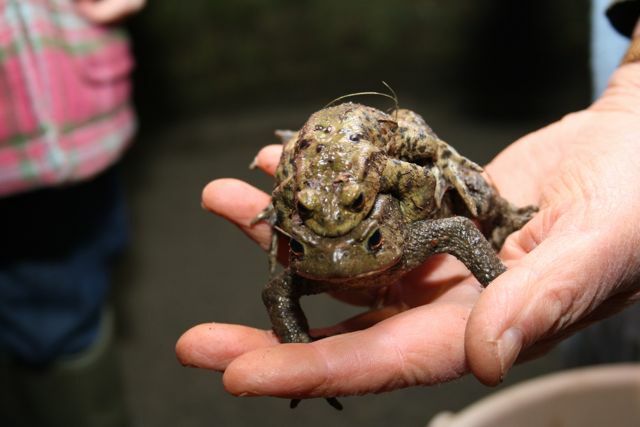 Throughout February and March Jan Later and her team from Surrey Amphibian and Reptile Group (SARG) spend their evenings collecting the toads from the the lanes and taking them to the ponds so that they don't fall victim to passing cars. 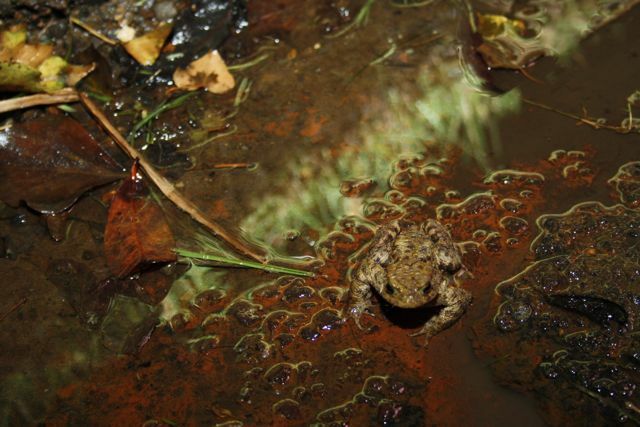 The team diligently record their numbers so that SARG can monitor the populations of the amphibian species. 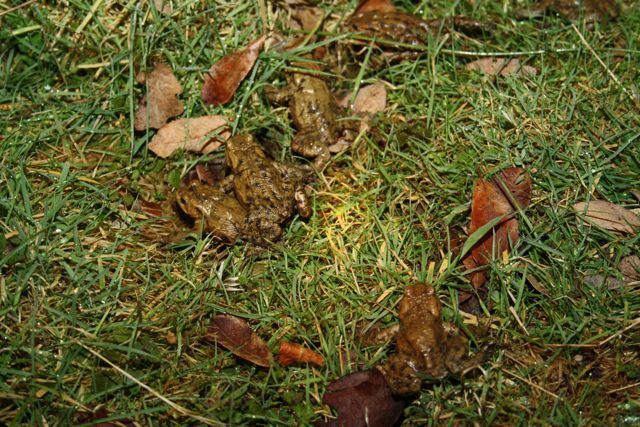 The vast majority are toads, with around four males to one female, although the team also regularly recorded frog and newt populations. Over the last two years they have found Great Crested Newts attempting to cross the lanes to get to the ponds. 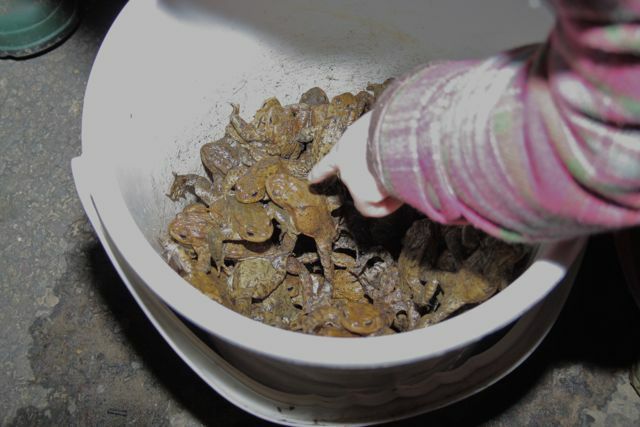 This species of amphibian and its habitat is protected, you even need a licence to handle them. 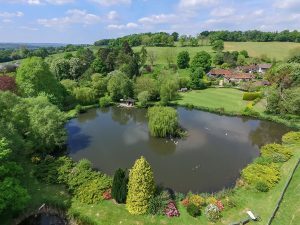 The fact that they are now migrating to the lakes to find a mate and reproduce is a very exciting discovery and illustrates how important this habitat is to the local amphibian population. So, when you are next driving down these lanes at night please spare a thought for the SARG crew who are out there until late, saving and protecting some of our most valuable wildlife.